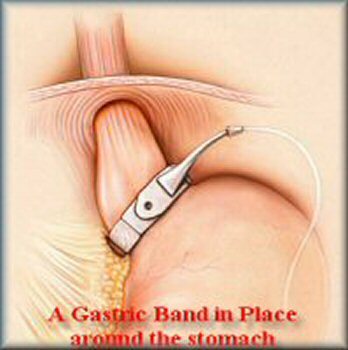 A gastric Band is a special inflatable band which is placed around the top portion of the patient’s stomach, creating a small pouch that limits or reduces the amount of food which you are able to eat at any one time. The Lap Band is adjustable, which enables the Practitioner to either inflate the band to tighten it or deflate it to loosened the band to help the patient achieve a level of food he/she consumes while maintaining a healthy diet, and supporting a patient’s long-term weight loss success. Patients from Chester who have the Gastric band fitted are more able to achieve good weight loss results because the practitioner is able to monitor and adjust how much food the Patient consumes. This is good for the patient as it encourages them to maintain the diets recommended by the Practitioners, and the Practitioners like it because it allows them to monitor the patients progress over time. The entire procedure is done laparoscopically in the Hospital Jacques Monod, where laparoscopes are used by the Surgeons to gain access through the abdominal wall through small surgical incisions. 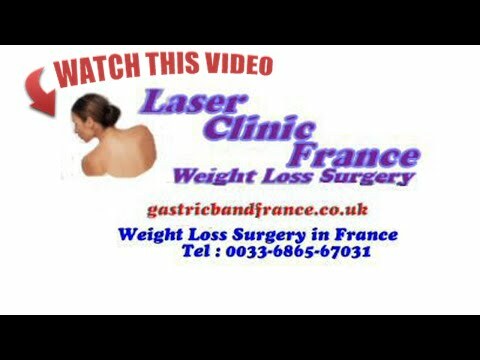 How Much and How Fast will I lose Weight After Gastric Band Surgery? You can lose a substantial amount of your excess weight after a gastric band procedure. Weight loss varies patient by patient and depends on them following the recommended diets and lifestyle changes provided by the Specialist managing your case. The danger of not following these suggested rules following any bariatric surgery is that the patient can over time effectively circumvent the benefits of the procedure altogether. Our Surgeons are registered to carry out affordable gastric band Bariatric Obesity procedures to ensure that your surgery is conducted according to the UK NHS Gastric Band Criteria, and to the highest possible standards in accordance with EEC Regulations. 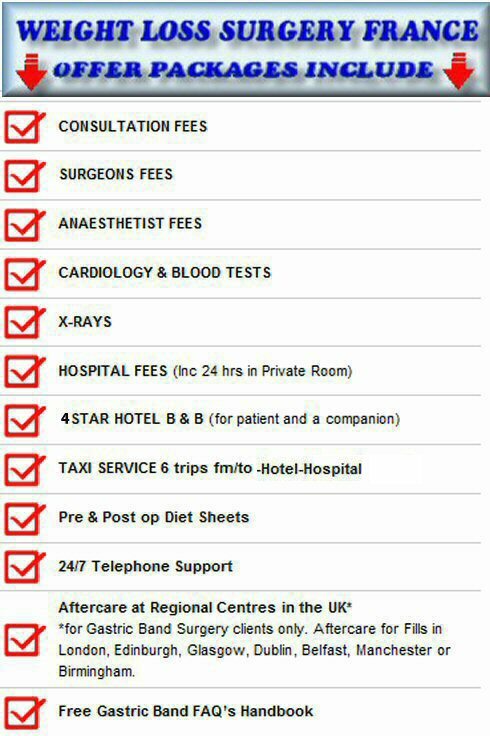 Save Thousands of £s at the Hospital Jacques Monod in Le-Havre France.